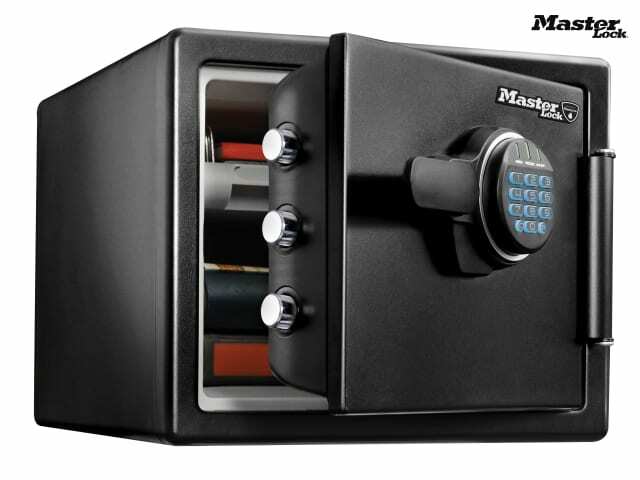 The Master Lock Digital Fire & Water Safes are designed to protect documents, digital media and other valuables from fire, water and theft. 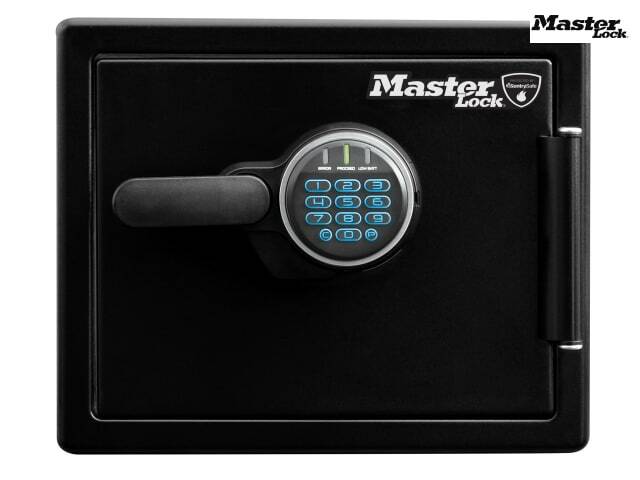 They have 60% bigger bolts than traditional safes and a pry-resistant hinge bar that provides additional security against unauthorised access. 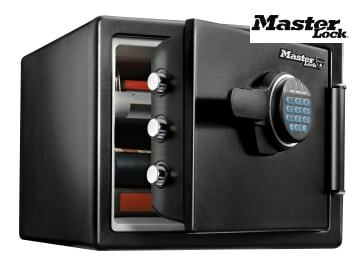 The safes have programmable digital combinations with backlit display for easy use even in dark places: 2 resettable combinations + 1 Master combination (non-programmable). 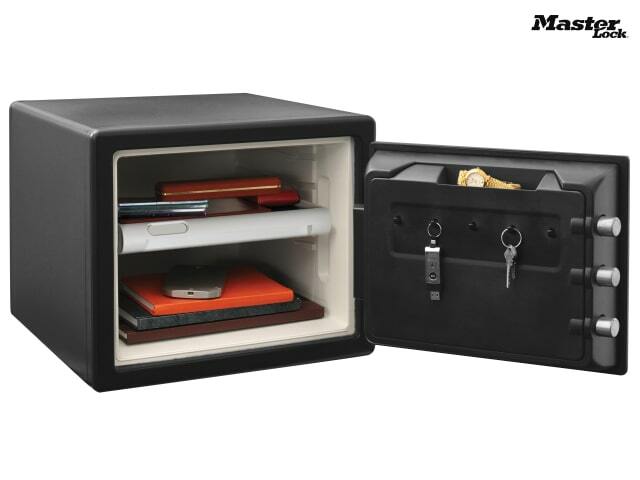 They have an interior light, multi-position tray and built-in storage on the door. UL/ETL verified 60 minutes fire protection for documents, official papers, as well as digital items (CD, USB sticks) up to 927°C. ETL Verified water protection for 24 hours to protect documents and other valuable items from flood damage. ETL Verified to withstand a 4.5 metre drop during a fire and stay closed. Exterior Dimensions: 348 x 415 x 491mm. Interior Dimensions: 244 x 319 x 292mm. Works with 4 x AAA alkaline batteries (not included).